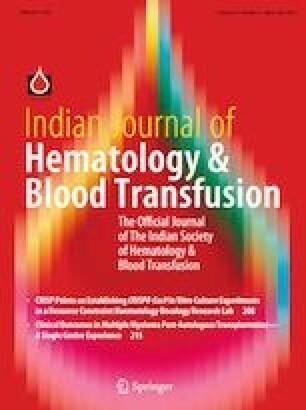 Alpha globin chain variants are usually not associated with the morbidity and mortality that are observed in beta globin chain hemoglobinopathies. Hemoglobin (Hb) Titusville (HBA2:c.283G>A), however, is a rare alpha globin gene defect (alpha2 globin gene codon 94 GAC>AAC mutation) wherein the resultant amino acid substitution at the α1β2 globin chain contact leads to reduced oxygen affinity of the Hb molecule . We report here a 31 years old woman from Tiruchirappalli, Tamil Nadu in whom Hb Titusville resulted in low oxygen saturation during surgery. The patient’s oxygen saturation was found to be 80–84% on pulse oximetry (with normal arterial blood gas levels) during spinal anesthesia for a caesarean section (CS). The CS was completed with oxygen support and the patient had an uneventful child birth. The baby did not show cyanosis at her birth. She could not be investigated further. However, we could investigate the patient’s mother.